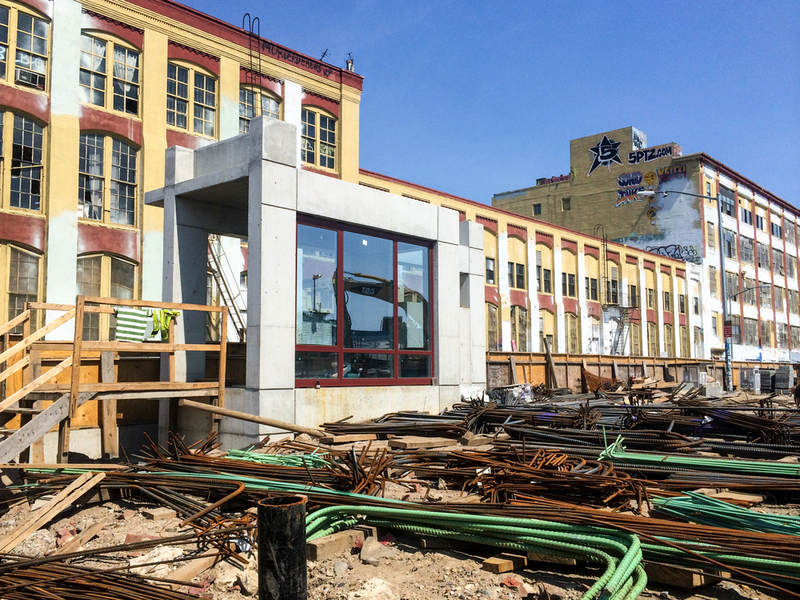 There is a mock-up on site at ODA's boxy residential project next to the 5 Pointz building in the Long Island City area of Queens. The signature protruding boxes on the facade will apparently be achieved with concrete that will be left exposed, similar to Vinoly's 432 Park Avenue tower currently rising in Midtown. Window frames will be of a maroon hue, an uncommon color choice for recent work in New York. Otherwise, progress on the actual building is still in the early stage of foundation work. Architects: ODA; Program: Residential; Location: Long Island City, Queens, NY; Completion: 2016.